Privately owned by Katara Hospitality Switzerland AG. 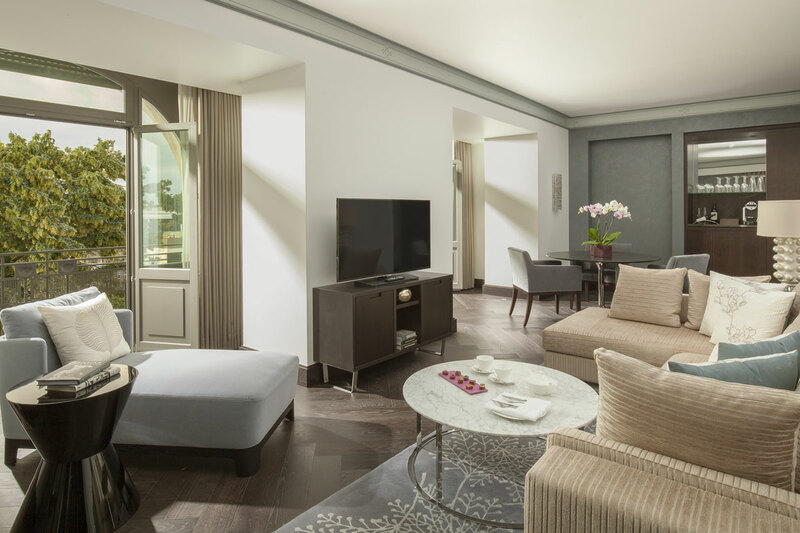 With over 25 years of experience in the luxuryhospitalityindustry, in Switzerland, the Persian Gulf and Asia, Alain Kropfis an expert in managing 5-star establishments. 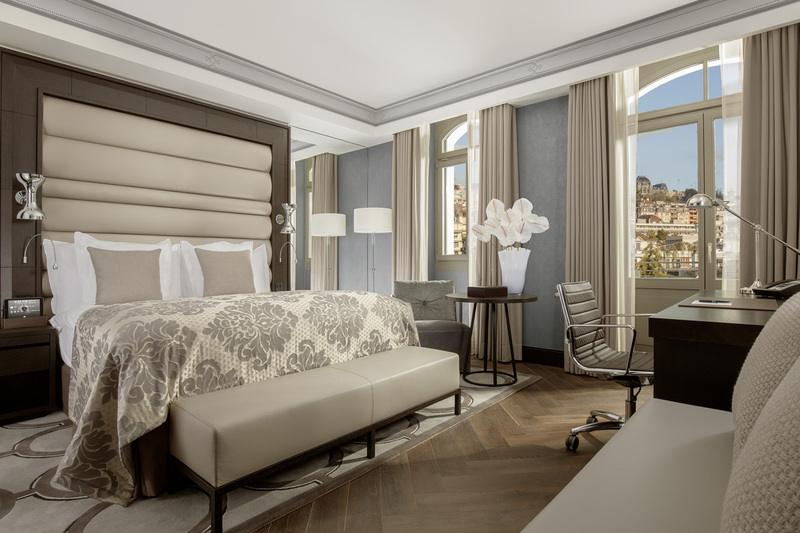 After graduating from the Ecole Hôtelière de Lausanne, Alain moved up the scales with various hotel chains prior to moving back to Lausanne to manage the opening of the Royal Savoy Hotel & Spa. The South American and overall individual leisure markets are key to our development, in addition to the North American market. The legendary 5* Royal Savoy Hotel & Spa Lausanne has been a symbol of prestige and hospitality for over a century. The historic building and new Garden Wing set in its own private park reopened in 2016. 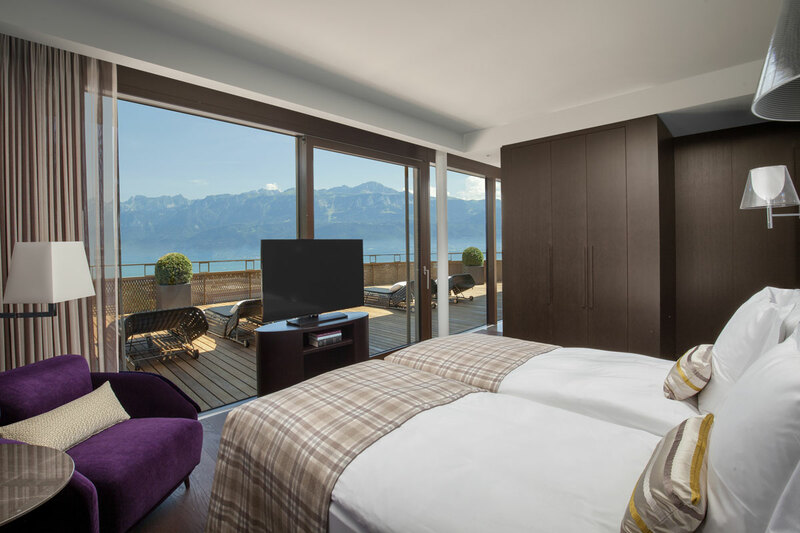 Fully rebooted for the 21st century traveler, it is the ideal place to relax, unwind and enjoy the vibrant city of Lausanne and the Lake Geneva region. Re-Opening after 5 years of renovation in 2015. 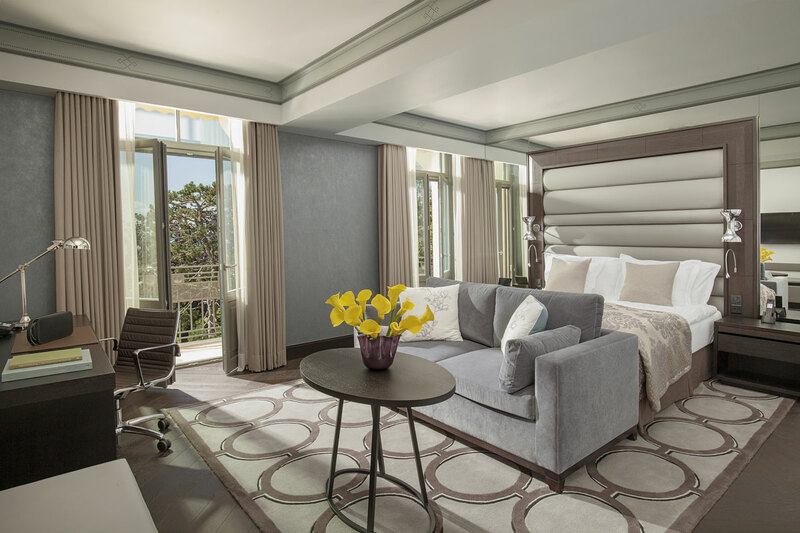 Interior Design done by MKV Interior Design Ltd, London. Newest and largest 5 stars hotels in Lausanne / central location between city and lake / direct access to public transportation / 196 rooms and suites with connecting facilities / latest in-room technologies. Lausanne, site of the headquarters of the International Olympic Committee and numerous other organisations and multinational corporations, is a city located directly on the shores of Lake Geneva, surrounded by vineyards and undulating hills. 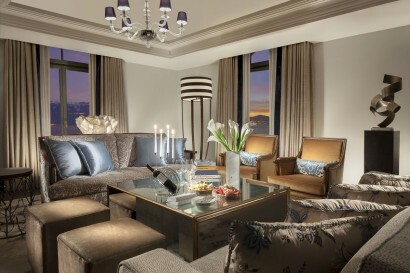 The Royal Savoy Hotel & Spa Lausanne is located in the city’s lively harbour district, a short walk from the lake, and a few minutes away from the old town. 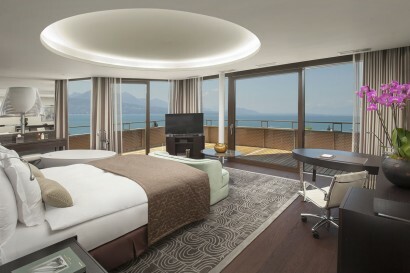 In the vicinity of Lausanne there are numerous destinations well worth an excursion and the city is located just 50 minutes from the international airport of Geneva. 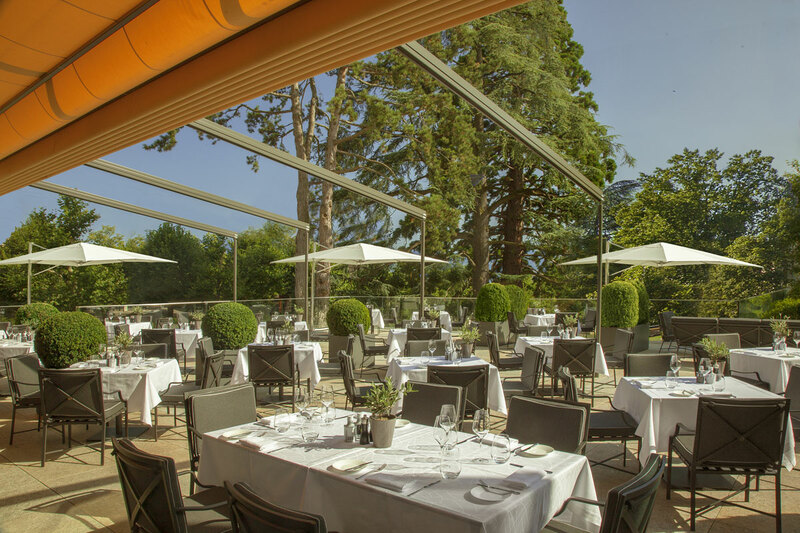 The brasserie restaurant in The Royal Savoy Hotel & Spa Lausanne offers delicious local specialities prepared with regional ingredients as well as signature dishes created by Michelin-starred chef Marc Haeberlin. The contemporary designed restaurant offers guests a gourmet experience with personalised dining options. 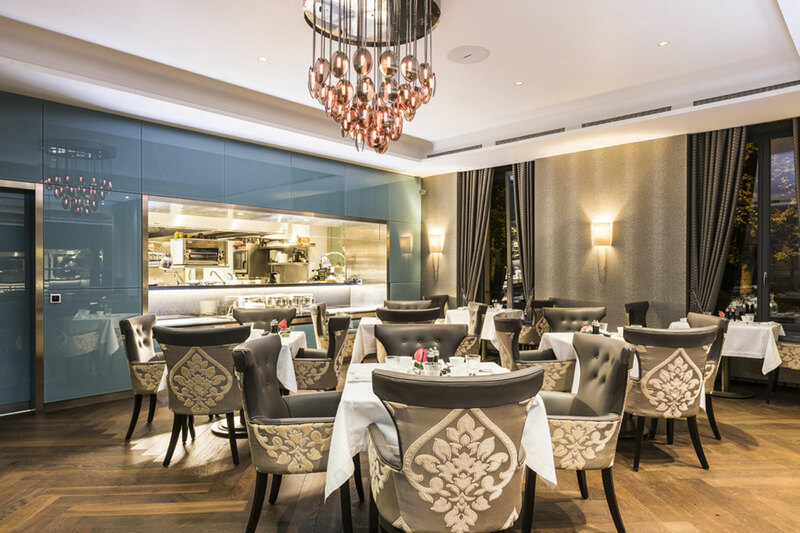 Enjoy traditional dishes with a modern touch and a few local favourites. The expertise of the Alsatian triple Michelin-starred Chef Marc Haeberlin, complements the skills and experience of the Executive Chef Julien Krauss and the Brasserie team, allowing foodies to discover and enjoy distinctive and creative Brasserie food. The elegant Lounge Bar at the Royal Savoy Hotel & Spa Lausanne is located at the centre of the historic building and has an exceptionally high ceiling making it an extremely striking room. Its atmosphere oozes warmth and friendliness in a cosmopolitan setting. 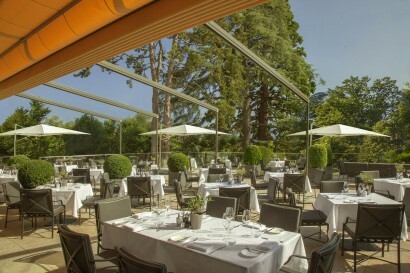 This is the ideal setting to meet up with friends for an aperitif before dinner or join colleagues for an evening cocktail. The Bar Menu includes a list of enticing cocktails and it is well stocked with all the famous whisky and spirit brands. Offering stunning 360 degrees panoramic views over Lausanne, the Lavaux region, Lake Geneva and the Alps, the new Sky Lounge at the Royal invites you to a world of discoveries, thanks to its exotic menu. 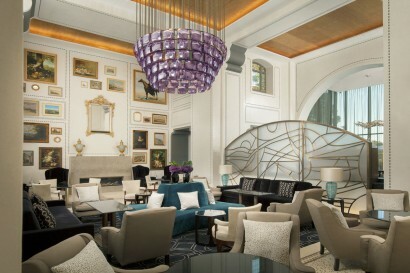 From lunch to supper, experience pre-dinner drinks and relaxed dining in a cosmopolitan and sophisticated atmosphere. 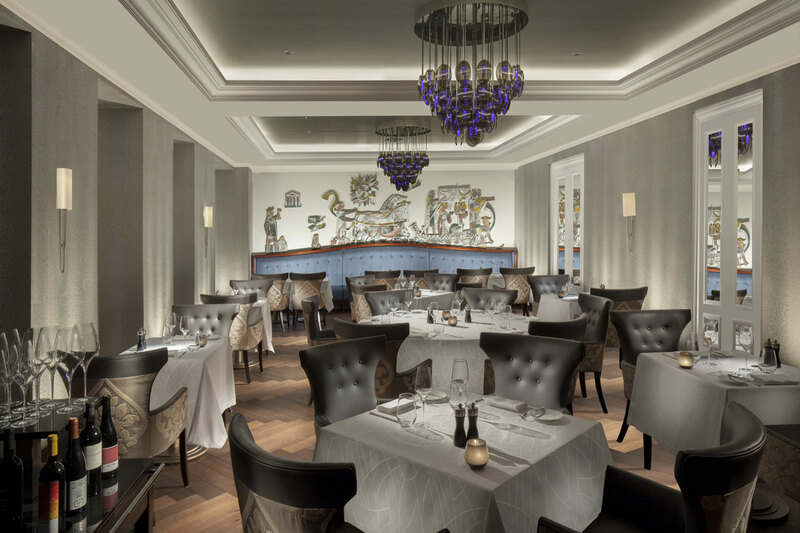 In a unique and exceptional setting, you will be swept off your feet and taken through many culinary traditions from the 5 continents. 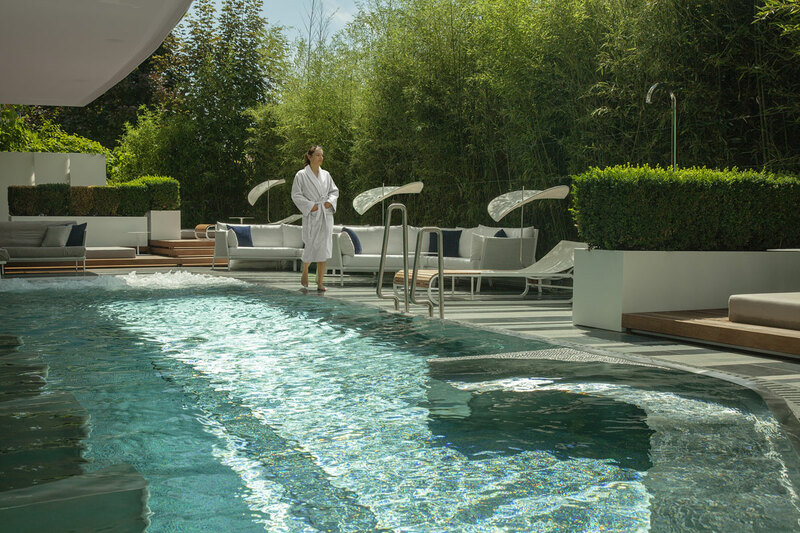 The modern spa at the Royal Savoy Hotel & Spa Lausanne, covering an area of approximately 1,500 sqm, leaves nothing to be desired, providing a comprehensive range of cosmetic treatments and massages. 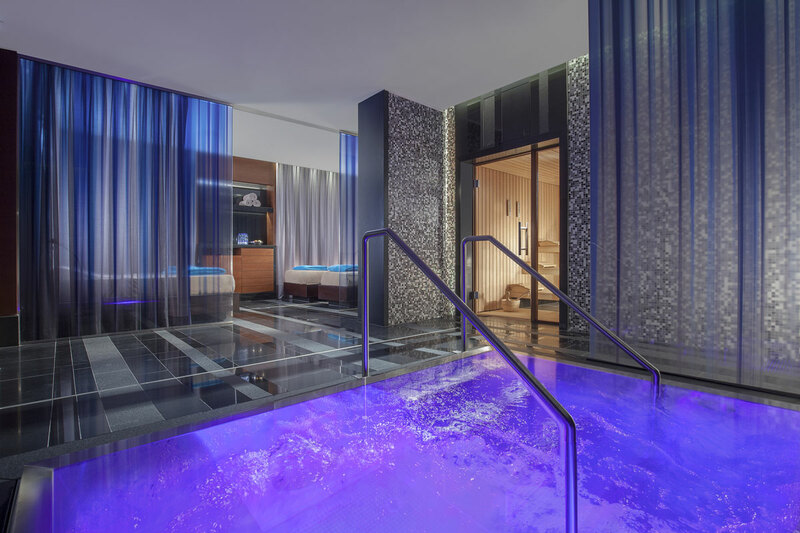 It includes an indoor and outdoor pool, eight treatment rooms, a “ladies only” Spa area, two additional private spa areas, as well as a 24/7 fitness facility equipped with the latest machines.